Here’s an update on recent news items and other public policy developments relating to the U.S. Renewable Fuel Standard (RFS).The most significant of these is the increased momentum within the U.S. Congress towards legislation to revise the RFS. Although it reportedly has some bipartisan support, this movement has largely been led by Republicans in the House of Representatives, who wish to address oil company concerns over the RFS but who have concluded that there is not sufficient support for outright repeal of the law. Congress is now in recess until September, and swift action is not expected in any event, but it now seems likely that some form of “compromise” reform legislation (e.g., perhaps lowering the yearly mandates for corn ethanol and/or cellulosic fuels) will be proposed in the House sometime this fall. Prospects for RFS repeal or reform continue to appear remote, because of Democratic control over the Senate and the presidency, but it would nevertheless be a significant development if a broad-based, possibly bipartisan, consensus for RFS reform emerges in the coming months. House subcommittee holds hearings on RFS in late July. The Energy & Power Subcommittee of the House Committee on Energy and Commerce held two days of hearings on the RFS July 24 and 25. The hearing was entitled “Overview of the Renewable Fuel Standard: Stakeholder Perspectives,” and featured four panels with witnesses from both sides of the RFS debate. The first panel on July 24 focused on the impact of the RFS on fuel production, and the second on that day covered fuel sales and use. The witness panels on July 25 addressed the impact on the agricultural sector and the food supply. The complete witness list, plus links to all the testimony and other materials, is available here on the Committee website. Commentary on the hearings can be found in Biofuels Digest, among other places on the Web. The two sides of the debate are maintaining their respective positions, with the oil industry continuing to press for complete repeal of the law, and the renewable fuels industry maintaining that legislative revisions are not needed and that any corrections needed can be accomplished through EPA’s rulemaking powers or through market forces. However, the consensus coming out of the hearings is that the Republican Committee leadership seems serious about developing legislation to address what many see as the shortcomings of the RFS, and that, in spite of the position of some Republican members, full repeal of the law is unlikely with Democrats controlling the Senate and the presidency. See next item for more details on the follow-up steps being taken. House committee chair appoints group to work on RFS reform. In the wake of the July 24-25 hearings, House Energy and Commerce Committee Chairman Fred Upton (R-Mich) has appointed four Republican members of the committee to take the lead on developing legislation for reform of the RFS. The leader of this group will be Rep. John Shimkus of Illinois, joined by Reps. Cory Gardner of Colorado, Lee Terry of Nebraska, and Steve Scalise of Louisiana. It is reported that, of these four, only Rep. Scalise has advocated full repeal of the law, and that the other three have what are called “more nuanced” positions. The group reportedly plans to reach out to House Democrats to try to reach a consensus on the planned legislation..
EPA finalizes RFS volume mandates for 2013. 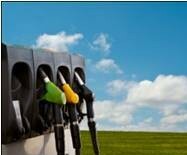 On August 6, EPA published a final rule specifying the 2013 volume mandates under the RFS. The major difference in the final rule relative to the proposed mandates published in February 2013 is the lowering of the mandate for cellulosic biofuels to 6 million gallons, from the 14 million gallons that was proposed in February. EPA stated that it derived this figure from its estimate of the volume of cellulosic fuels actually expected to be available in 2013. EPA kept all the other mandates as originally proposed, and in particular the agency maintained the Advanced Biofuels volume at the originally-proposed level. The final figures are as follows, along with the percentage each fuel type comprises of the nation’s overall volume of gasoline and diesel: . In other aspects of the August 6 announcement, EPA said that it would extend the deadline for obligated parties to demonstrate compliance until June 30, 2014, and that it was planning adjustments to the 2014 volume mandates to reflect the fact that the agency “does not currently foresee a scenario in which the market could consume enough ethanol sold in blends greater than E10, and/or produce sufficient volumes of non-ethanol biofuels to meet the [existing 2014 mandates].” Although EPA’s announcement was largely welcomed by representatives of the renewable fuels industry, some expressed concern about the possible downward adjustment of next year’s mandates. EPA denies petition from API, AFPM on 2013 biomass-based diesel mandate. At the same time it issued the final 2013 volume mandates, EPA announced that it had denied petitions filed in late 2012 by the American Petroleum Institute (API) and the American Fuel & Petrochemical Manufacturers (AFPM) challenging EPA’s November 2012 determination of the 2013 volume mandate for biomass-derived diesel. EPA determined that the evidence put forth by API and AFPM did not meet the relevant criteria specified in the regulations for a successful challenge to EPA’s decision. EPA has denied other petitions filed by these groups in recent years that had also challenged specific RFS volume mandates, some of which have later led to the filing of lawsuits to overturn EPA’s decisions. EPA publishes RIN results for first half of calendar year 2013. EPA’s monthly reporting of RIN generation now includes data through June 2013. The month of June saw the generation of RINs both for D3 cellulosic biofuels (73,271 generated) and D7 cellulosic biodiesel (32,728). Overall for the first half of the year, over 1 billion D4 RINs were generated for biomass-based diesel, about 242 million D5 RINs for advanced biofuels (most of which likely corresponding to Brazilian sugar cane ethanol) and over 6.3 billion D6 RINs for renewable fuel (most of which representing U.S.-produced cornstarch ethanol). See this article in Ethanol Producer magazine for a more detailed summary.